There is an increasing realization that our knowledge of world history-and how it all fits together-is far from perfect. Here, Christopher Lascelles aims to fill the big gaps in our historical knowledge with a book that is easy to follow and assumes little prior knowledge of past events. He doesn't aim to come up with groundbreaking new theories on why things occurred, but rather gives a broad overview of the generally accepted version of events so that non-historians will feel less ignorant when discussing the past. While this book explores world history from the Big Bang to the present day, it principally covers key people, events, and empires since the dawn of the first civilizations in and around 3500 BC. 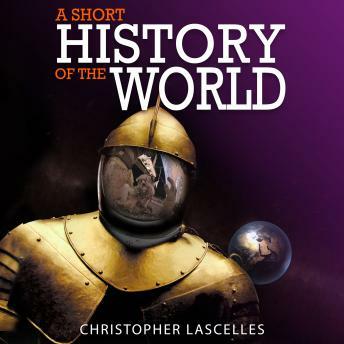 Epic in scope but refreshingly concise, A Short History of the World is an excellent place to start to bring your historical knowledge up to scratch.